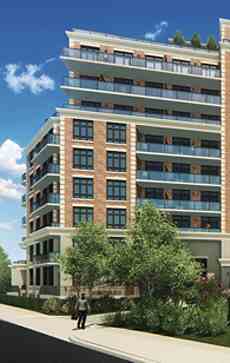 With stunning unobstructed views of Lake Ontario, Guildwood Condominiums is your gateway to one of Toronto's most idyllic neighbourhoods. This closely-knit community offers a unique lifestyle opportunity to the outdoor lover looking to enjoy endless trails, the Bluffs and miles of beaches. The Residence themselves are in a boutique building of 110 units surrounded by professionally-designed gardens boasting large terraces and patios. The Private 8th floor amenity area includes a fitness centre, party room with fully-equipped kitchen and games room plus an expansive roof-top deck with private sitting and BBQ areas for residents and guests. - Contemporary laminate flooring in foyers, hallways, living room, dining room, kitchen, den and bedrooms from Vendor’s finish packages, including transitional strips in doorways as per plan. - Interior doors with brushed nickel-finish lever hardware as per plan. - Sliding closet doors or slab swing door in bedrooms and foyer as per plan. 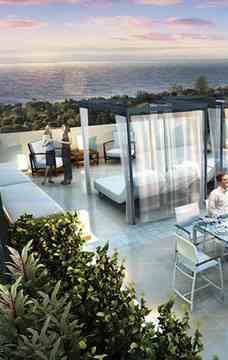 - Outdoor balcony or terrace with one electrical outlet as per plan. - Sliding glass doors or swing door to outside balcony or terrace as per plan. - Choice of contemporary style cabinets and quartz countertops from Vendor’s finish packages. - Oversized single stainless steel undermounted kitchen sink with single lever chrome pull down faucet with pull out spray. - Exhaust fan in kitchen over the stove. - Overhead lighting in kitchen. - Custom designed cabinets from Vendor’s finish packages. - Porcelain tiles for bathroom floors with ceramic tiles for bathtub and shower enclosures from Vendor’s finish packages. - Single lever chrome faucets in vanity sink. - Quartz vanity tops with undermount basins. - Temperature balance valves for tub and shower. 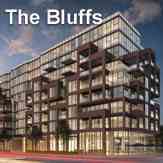 Guildwood Condominiums is a condo development by Hazelton Developments located at 3655 Kingston Road, Toronto. Moments away there is the convenience of Go transit. Groceries can be found at Metro which is a short distance away and Scarborough Village Public School a 4-minute walk away. Ceiling Height: From 9'0" to 11'0"
The principals of The Hazelton Group have a combined total of over 45 years of <br/>experience in the building and development industry, during which time they have <br/>established a reputation for excellence and integrity and have successfully <br/>completed projects in North America, Europe and the Middle East. We employ <br/>innovative and state-of-the-art design, engineering and construction techniques <br/>that enhance the final finished product. <br/>Over the years, The Hazelton Group has worked on a wide-range portfolio of <br/>residential, commercial and industrial projects, both independently and as joint <br/>venture partners, and we assemble awarding winning consulting teams that bring <br/>leading edge design concepts to life.